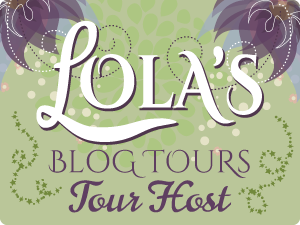 Today is my stop during the blog tour for The Wright Brother (Wright #1) by K.A. Linde! I share my review of this book with you and there are two teasers to check out! Emery flees to her Texan hometown of Lubbock after a disastrous relationship comes to a crashing end. She’s actually glad to be back home, to have more time to spend with her sister and her niece and to come to terms with where she is in her career and her life. Her best friend Heidi works for Wright Construction (her ex-boyfriends family company) and she ends up going to a Wright family wedding where she bumps into her ex, his psycho wife, and one hot billionaire CEO by the name of Jensen Wright. Jensen doesn’t recognize Emery and they share a hot and steamy make-out session that burned up the pages of my Kindle. Jensen mistakenly thinks Emery is only back for a visit so he has no qualms in asking her out on a date. When he realizes she is back for good it’s too late to stop his heart from growing attached – not that he doesn’t try. Jensen blew hot and cold for me at the start but I loved all the drama and the angst and I knew there was a good reason for his behavior. I sensed where the plot was going and I was right. Emery was a little too weak at times but a likable character all the same. The romance was great and their chemistry was off the charts. I totally shipped them and was rooting for them the entire time. I loved the added complication of Landon and his controlling, scheming, possessive wife. Man, I’ve never wanted to throttle a fictional character so much! She was a whiny gold-digger and I’m wondering how on earth Landon ever fell for her. One of the things I especially enjoyed about this book was the side characters. All were interesting and well developed as secondary characters. I’m so looking forward to reading Landon and X’s story (no spoilers here) especially after that brill sneak peek in the back of this book. And I’m hoping the rest of the Wright siblings are getting their own book too. The plot was a little too predictable for me and the writing was a little off at the start of the book and that’s the only reason I knocked off stars. I will say that the issues I had with the writing completely disappeared after the first few chapters and the book is well executed in the main. I’m very excited to see where the author takes this series next. I have no hesitation in recommending this book to fans of angsty, swoon worthy contemporary romance. Actual rating – 3.75 stars. Thanks to the author and Inkslinger PR for providing an ARC of this book in exchange for my honest review. As an aside, I adore that cover and it’s one of the things that enticed me to pick up this book.